WOW!! I can’t say I would have ever thought to combine Calypso Coral, Rich Razzleberry, and Berry Burst, but I think I’m in love!! 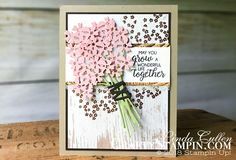 The cake from the Stampin Up Cake Soiree stamps set is the perfect centerpiece for this Z-fold card that anyone would be honored to receive. The floral Petal Pair Embossing Folder adds great texture to the side panel of the card. 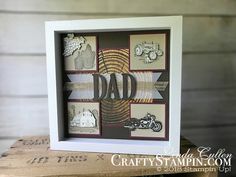 The cake is embossed with Silver Stampin’ Embossing Powder on Whisper White and colored with Stampin Write Markers. The inside greeting comes from the Picture Perfect Birthday stamp set.